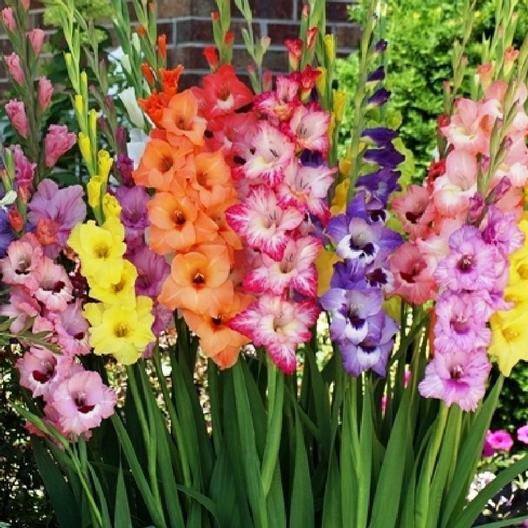 More vibrant than our regular mix of glads, our Rainbow Mix is active and dynamic! Purple, pink, yellow, orange, some with a white throat and others solid through and through. Plant our Rainbow Mix in an area, garden or container, where you would like to bring some vertical interest and enjoy the kaleidoscope of colors!